Grant Christey is a General surgeon and Trauma Surgeon at Waikato District Health board in Hamilton New Zealand. After surgical training in New Zealand and some time as a trauma surgeon in Sydney Australia, he returned to his home city in New Zealand to start up the Waikato Trauma Service and more latterly the Midland Trauma Service covering the central North Island of New Zealand. He established the Midland Trauma Research Centre and the Midland Trauma Registry that now hosts the New Zealand National Major Trauma Registry. 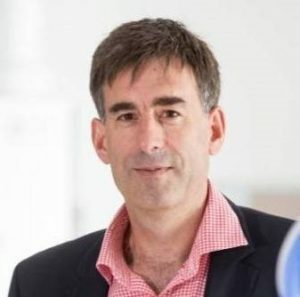 He is an Honorary Senior Lecturer in Surgery at Waikato Clinical School and has active interests in trauma research encompassing clinical care, system improvement and injury prevention. Outside of daily trauma care, Grant is a general surgeon with special interests in the management of complex hernias, abdominal wall reconstruction, endocrine surgery and disaster preparedness. Patients come first in all aspects of his clinical care, research and system improvement activities.